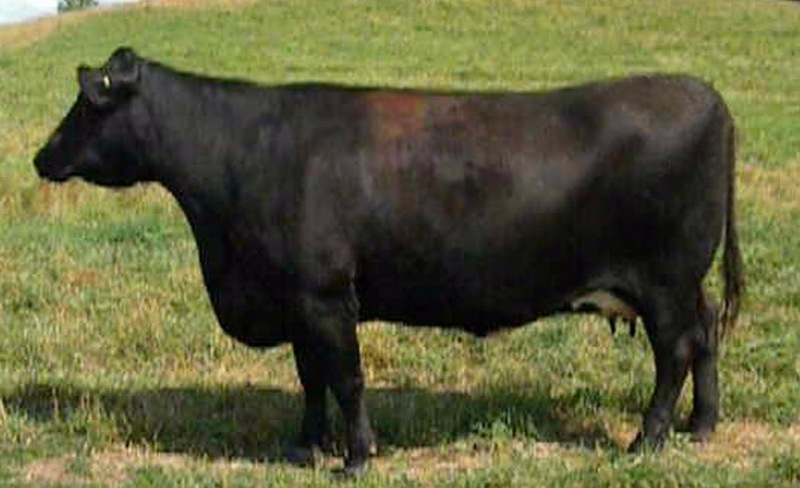 This Calving-Ease/Power-Bull stands in the top tier of the breed for CED, BW, WW, YW, DMI, MARB, RE, $W, $F, $B. Square hipped and strong topped with a huge rib shape. 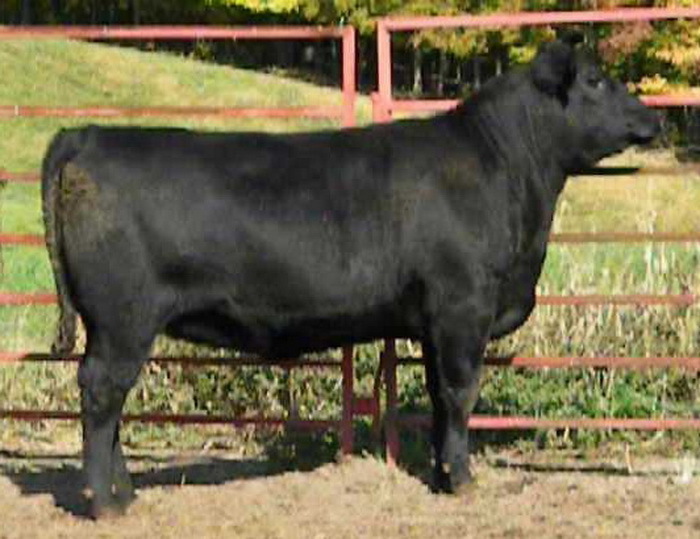 His Dam (Pine Hill Jenna 222T) is a direct Daughter to the timeless Rito 6I6 "The Disposition Bull" a sire known for his broody gentle natured daughters. 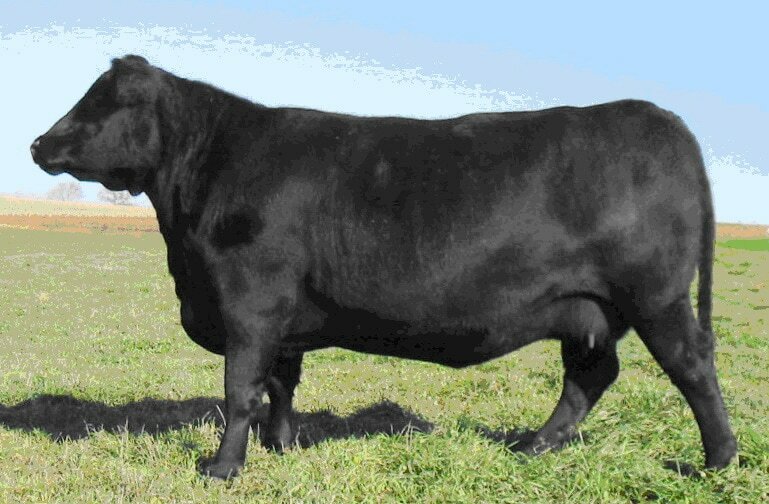 From the very beginning, she has tied together an impressive string of calves that have dominated our herd in both production & performance. She is 11 years old and still going strong. 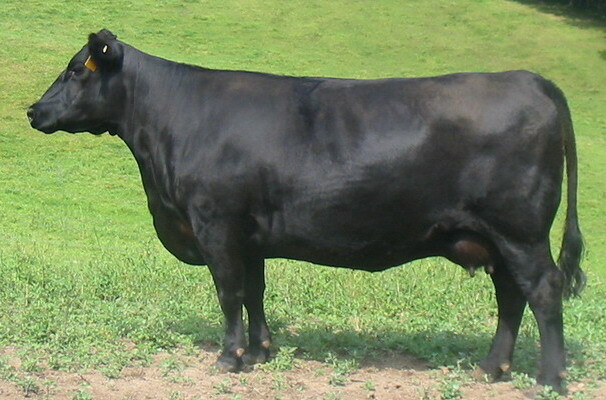 All of her calves ratio above 100 for Weaning Weight, Yearling Weight, Ribeye, and Marbling. 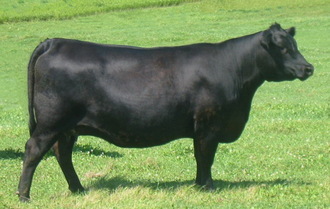 She has 10 calves with 9 out 10 calves being A.I. pregnant on first service. 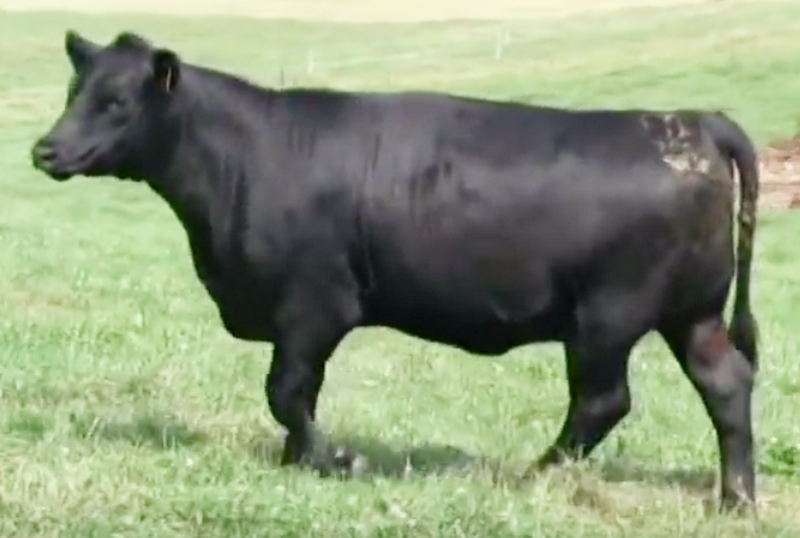 Several of her calves show HD50k DNA Genomics scores ranking in the Top 1% for Docility, Top 5% Feed Efficiency and Top 20% for every other trait. 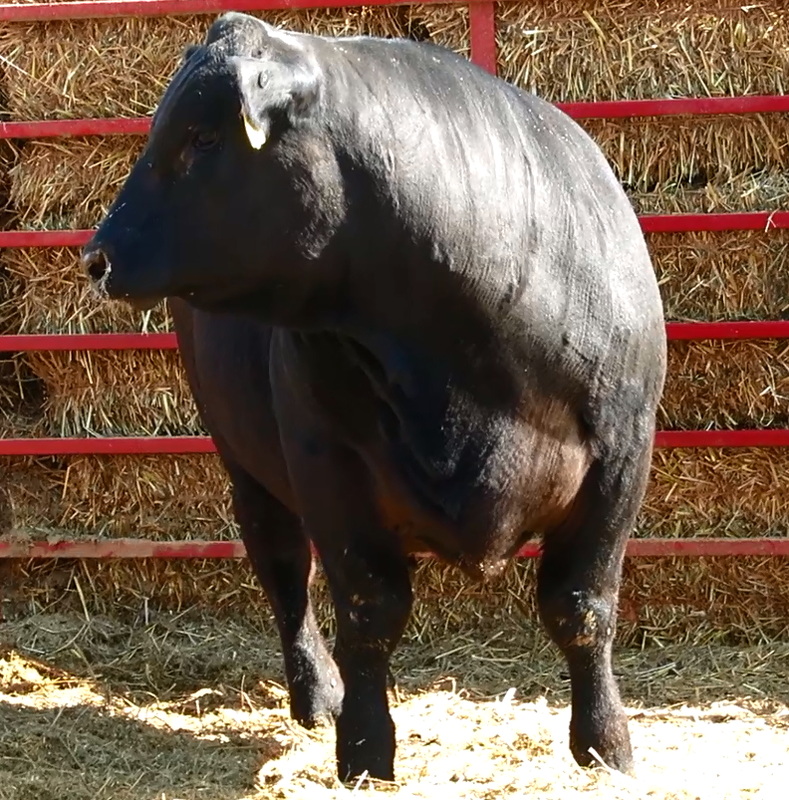 This future herd sire takes "thick made" to a whole new level. 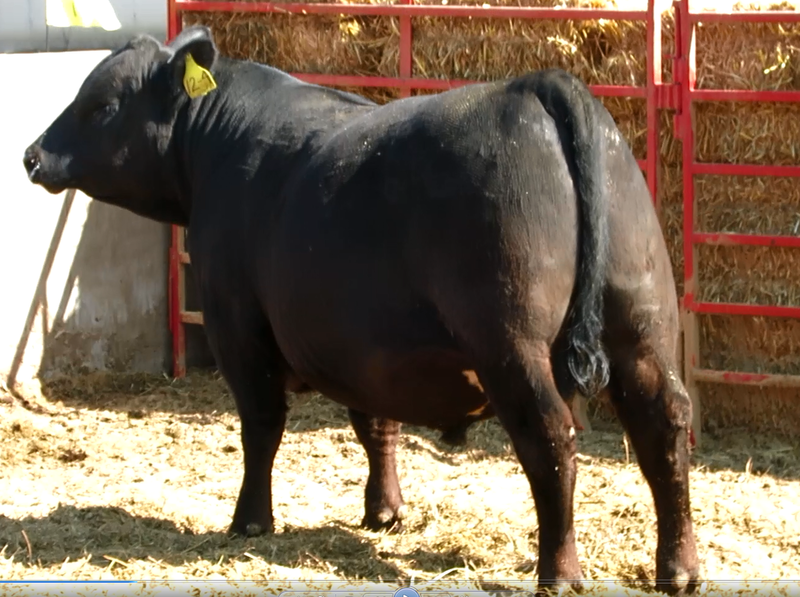 A strong topped bull with exceptional depth & capacity. 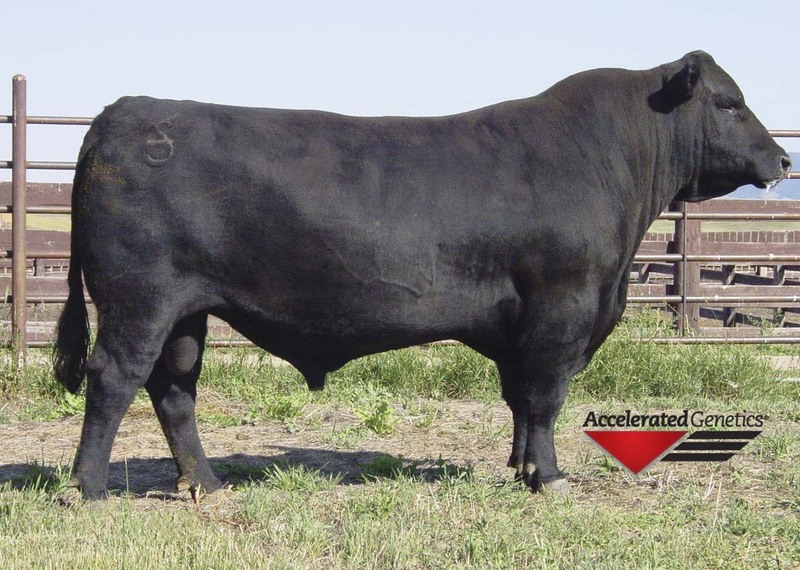 He should sire heavy muscled feeder steers and easy fleshing heifers with controlled frame scores and born-in longevity. 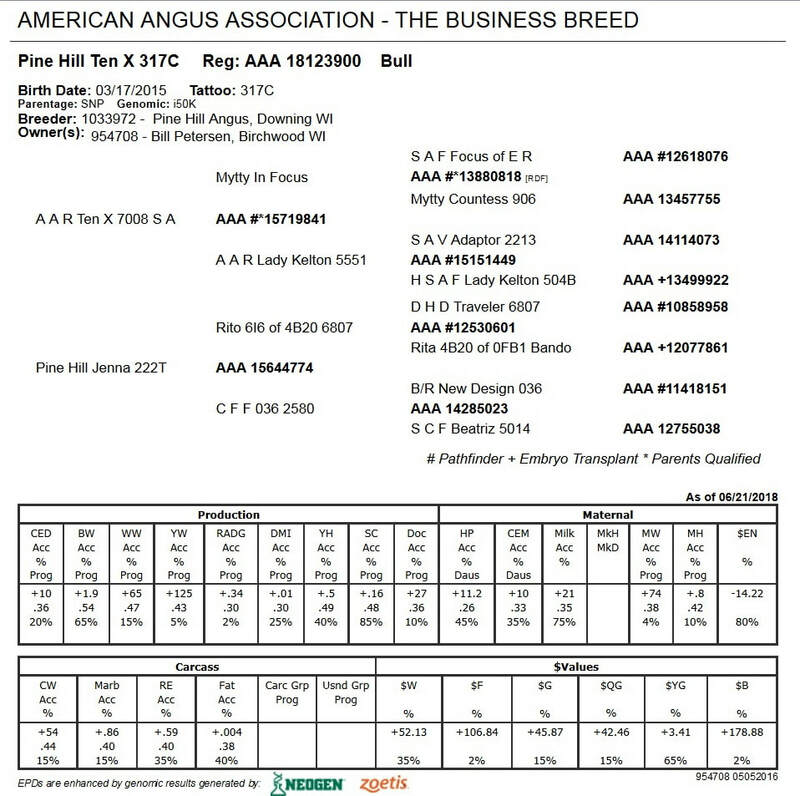 Click Here for latest EPD's goes to American Angus Assoc page, then click "search"
Video: (sister) Pine Hill China 225W.